We all can sometimes (if not always) want to binge out on a Netflix show. There are those nights where a tub of ice cream or glass of whiskey in my hand is the perfect addition to watching a Netflix show. However, there are sometimes that a you just are not in the mood to watch another show. After all, can’t we all relate to spending a half hour looking for that perfect shoe to watch? This is usually where movies come into the picture. We either do not want to try and pick a show (not like a movie is much better) or we just want to watch a movie and wash our hands clean, in comparison to getting obsessed with a show and be thinking about it all day for the next week. I was recently in the mood to watch a movie on Netflix, but was having a difficult time choosing. That was, until I found their new original movie, “To The Bone”. Similar to 13 Reasons Why, Netflix has braved the world that society usually tries to shut down. They have opened the can of worms and are trying to start conversation around certain topics that people have overlooked for too long now. After reading that, you can now see how it relates to their other controversial show “13 Reasons Why” a show that opens up the topic of suicide. However, there were a few major differences between the two shows. In the show “13 Reasons Why” the main girl in the show that commits suicide does not loop her parents in on the struggles. She goes through these battles by herself and actually shuts her parents out of a lot of her life. In comparison, “To The Bone” has Ellen’s parents fully involved in her life and wanting to help her get better, even if it causes them to go through difficult times in her life. Now, some of you might be saying, “Well anorexia is easy to spot that depression and suicide”. While that might be true, it is not impossible. The focus is on the family going through these issues together in, “To The Bone” as it shows them sitting down for dinner and talking through issues, recapping how therapy is going, and multiple others things. In “13 Reasons Why” the parents are ignorant of anything being troubling in the girl’s life. I appreciated this, seeing that parents should have the role of leading their kids and making sure that they are safe and taken care of. Another contrasting point that the two shows have is the mindset to the problem. “13 Reasons Why” portrays the girl as having a victim mindset, blaming everyone around her except herself and actually causing others to commit suicide. 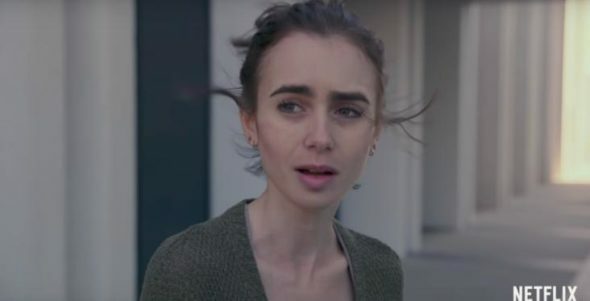 On the other hand, “To The Bone” has the girl owning her faults and ends the movie with her taking control of her life by choice and re-enrolling in the therapy in order to recover and get on a better path. In an odd way, when you watch the TV show “13 Reasons Why” you will get a feeling that Netflix is almost excusing the girl’s actions. Not only are they excusing it, but they are actually praising her for being brave with it. Why do I think this? In addition to my own personal opinion, there was a direct correlation between the release of “13 Reasons Why” and teen suicide. Yes, you read that correctly. People actually watched the show and thought it was “cool” and good to escape life through suicide. Sadly, even one girl copied the recording of tapes and blaming people and committed suicide. In contrast, while there was some humor mixed in with the movie, “To The Bone”, they did not praise it as a heroic step. In fact, they actually praised the return of Ellen to therapy for her to get some help. This is crucial to realize. You and everyone else who watches movies and shows on Netflix will be impacted in one way or another as you consume the material. Netflix has the power to change people’s behaviors and this was a perfect example how they messed up at first, but then corrected their actions and made it better. So, while I wrote a previous article on ‘13 Reasons Why” you should watch the show “13 Reasons Why”’, I would like to add that it should only be watched with an engaged parent that can talk to their kids about the topic and not praise it. “To The Bone”, should have a similar approach in that parent’s monitor the watching of the movie. However, the parents can rest assured that Netflix has taken more responsibility with this production, compared to the last.